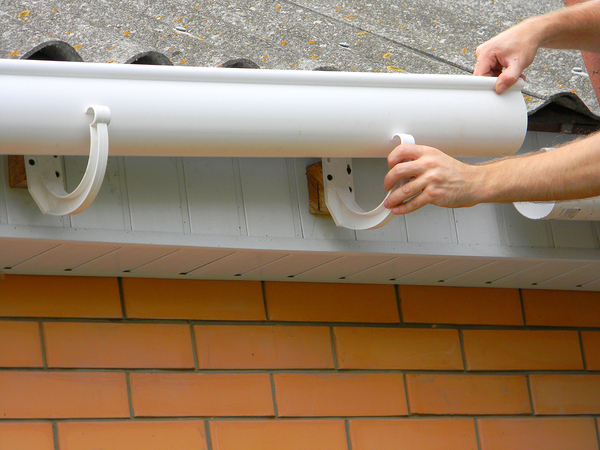 What Could Be Better Than Installing Your Own Gutters? You’ve been waiting a long time for this moment. You wake up in the morning, and you’re beyond excited: today is the day that you install your own gutters. You’re up for the task, you’ve done your reading on how to install gutters, and you’ve got the materials you need. What are you looking forward to? Gutters and the parts of your home that support them involve a lot of vocabulary that you might not know right now, but you’ll need to understand it in order to properly choose, cut, and install your gutters and downspouts. Since you’ve always enjoyed learning more about other places in the world, you’re intrigued by the opportunity to start learning a new language right in your back (and front) yard. You’ve read up on the language involved in how to install gutters, and you know your downspouts and your soffits. You’re aiming to improve your balance and your core strength, and you think that balancing on a ladder is the key to achieving your fitness goals. While you’ve noted that the National Association of Certified Home Inspectors states that an astounding 164,000 emergency room-treated injuries in the U.S. are caused by falls from ladders every year, you feel confident that you won’t be part of that statistic. You know that your gutters are part of a fully integrated home water system that sends water from the roof to the ground, and so you’re totally dedicated to checking out your roof, your shingles, and your fascia boards to ensure that they’re not rotting. After all, you want to make sure that your gutters work to protect a fully-functioning roof and drainage system and that you don’t attach them to anything that is rotting. You have all of the essential tools for gutter installation, and you can’t wait to use them. You love math, or at least you did in high school. You’re excited to bust out the level and the tape measure to ensure that you have the correct slope for your gutters. Otherwise, you know that you’re going to be equally thrilled to catch leaks during the fall and winter season as your gutters overflow. You’re a cautious person, so you want to have the opportunity to ensure that your home is as safe as it can be. That’s why you’re looking forward to learning how many gutter hangers you need to install and reading up on “installing a metal gutter apron flashing under the shingles and over the back edge of the gutter” in publications such as The Family Handyman. You’re also conscious that leaking gutters can cause foundation problems and problems with rotten siding, leading to shifting foundations and issues with insects. You’re committed to making sure that your gutters don’t leak or overflow so that you can avoid these issues. When you’re buying gutters that are sectional rather than gutters designed for your home, you have the opportunity to cut them incorrectly or simply measure the amount of materials incorrectly. This gives you an excuse to head to the hardware store again and spend some more quality time visiting the gutter section. Many people install their own sectional gutters on their homes. However, there is a better option. 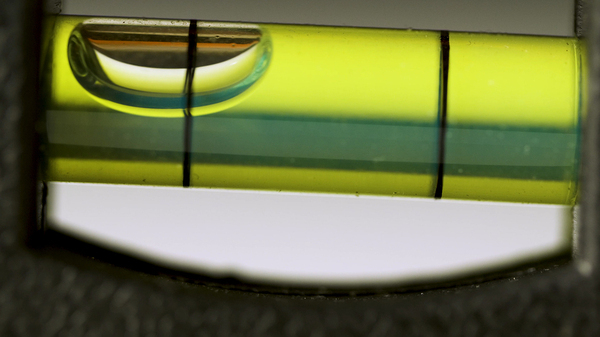 By choosing seamless gutters, you reduce the chances of leaks. By adding a gutter cover and gutter heat, you reduce the accumulation of leaves, ice, and snow that can lead to warped, overflowing gutters and damaged shingles. Finally, by choosing to work with a professional, you take away many of the physical dangers and the potential errors that could come from a DIY gutter installation. You might be considering installing your own gutters, but think about all of the benefits that can come from a professional installation as well: schedule a free estimate with Harry Helmet today.